At the start of the month we headed along to Grand Designs Live - you'll remember I went armed with plans of our garden, and came back with lots of advice. Well we also had a look around the rest of the show walking a fair few miles in the process. We saw lots and quite a few things that had been at the Ideal Home Show a month or so earlier, but quite a lot that hadn't as well. Despite falling in love with the Danish wooden table and chairs that I shared last month and coming up with a Plan B to source the wood ourselves, we couldn't help but check out the tables on display here. Bad move. Incredibly bad move. You see we saw this white glass table. And loved it. a mis-matched approach to chairs and one length to be bench seating. 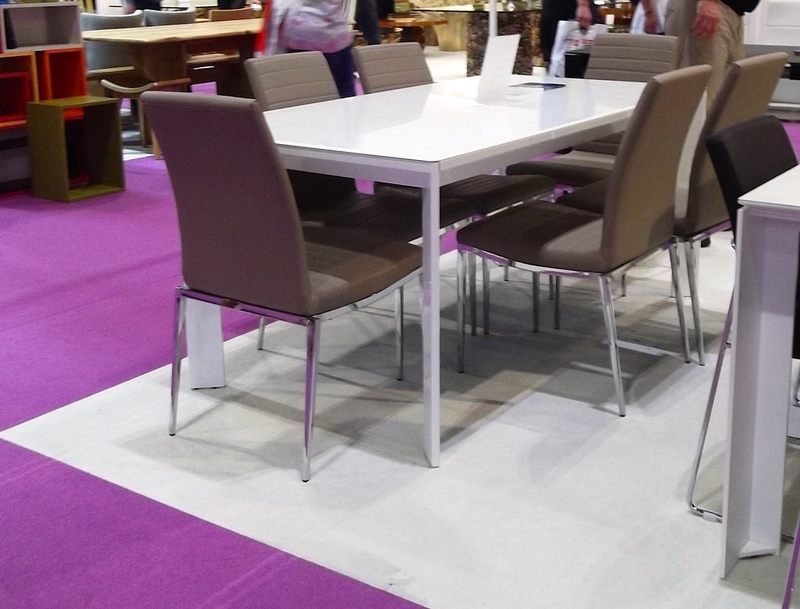 So why then were we both swooning over this white glass legs-on-the-corner table? Well in my defence, these on-the-corner-legs don't look chunky and that's because of the sleek design. The other thing we liked was that it extends, and easily too - and that's something the wooden tables we liked haven't had. And it comes in a range of neutral colours. The salesman's face was a picture when he asked us what colour we were after and our reply was wood! He could clearly (and rightly) tell that we liked this table, so our answer was a little puzzling until we explained we thought we'd decided firmly on wood. But have we? Now we're not so sure! We left the Cadira stand bemused and clutching a brochure - and usually I don't bother with these as they're only something else (for MOH) to carry and to recycle when we get home, far better to leave it for someone that has a need for it in my view - debating which colour we'd choose. 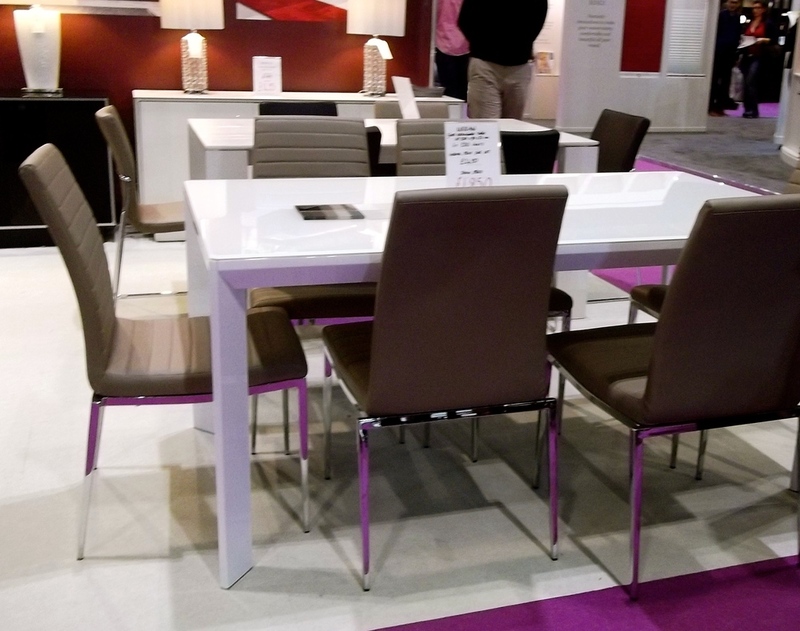 And if we'd find a white gloss bench (or a non-wood bench) at all, let alone one that matched the size of the table.